As a precursor to teaching young adults to drive safely, we need to teach our children to ride safely. Many of the rules governing bikes and cars are the same. That’s right, riding your bike safely is just as important as driving your car safely. While we may not think of the two as the same, serious injuries can be sustained on bicycles just like they can from a car. In Florida a bicycle is legally considered to be a vehicle while being ridden on the road. Even though you learn to ride a bike as a child you are tasked with being a responsible driver. Every year, 26,000 children are seen in emergency rooms for traumatic brain injuries (TBIs) related to bicycle-riding. More often than not, these injuries were sustained because the child was not wearing a helmet. A properly fitted helmet can reduce the risk of a brain injury by a staggering 88%. 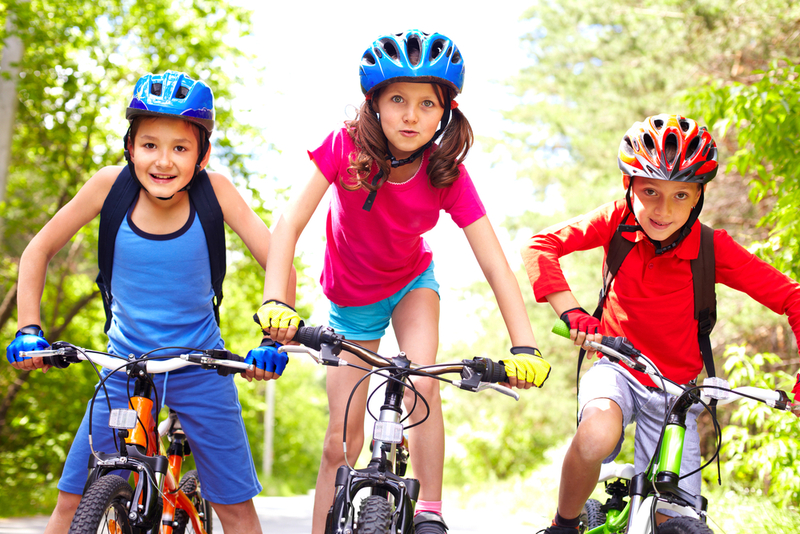 In addition, a helmet that fits a child can prevent roughly 75% of child bicycle accident fatalities each year. When children don’t wear a helmet they are 14 times more likely to suffer an injury. Wearing a properly fitted helmet is the number one way to prevent bicycle related injuries. If a child doesn’t want to wear a helmet, find out why. Some children view wearing helmets as “uncool”. Be a model and wear your helmet when you ride. Talk to the child about these concerns and compromise by letting them choose a helmet they would want to wear. Make sure to replace your helmet at least every five years or if it shows visible damage. In the eyes of a child, a bicycle is a path to freedom. While fun and enjoyable, riding a bicycle should be treated in the same way as driving a car. Exercising caution and practicing safety are important to ensuring that a child can continue to have fun while riding their bike. Always wear a helmet and make sure your child understands bicycle safety guidelines.